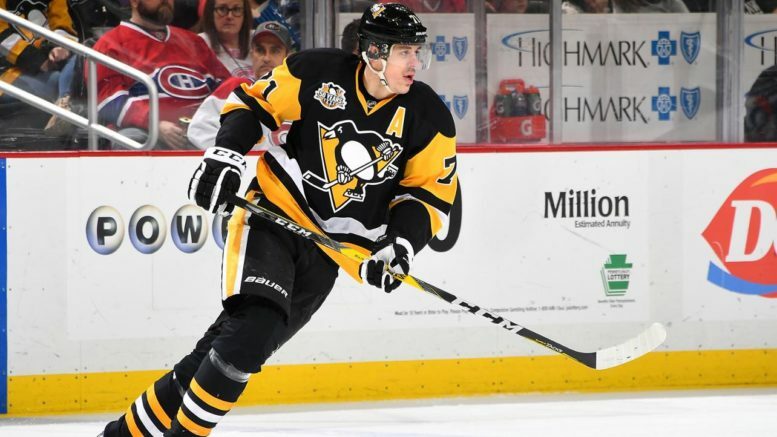 Evgeni Malkin and the Pittsburgh Penguins are looking to become the first back-to-back Stanley Cup champions since the Detroit Red Wings in 1997-98. I kind of see now what football fans whine about all summer. “There aren’t any sports on TV!” “Everything is boring until September!” Are these insufferable goofballs actually making sense all of a sudden? Personally, I can’t wait to watch the Stanley Cup finals, and to a lesser extent, the same-old, same-old (more on that in a moment) NBA Finals. Because after that, it’s going to be my summer of discontent as baseball reverts back to the same top-heavy mountain it was in the late 90’s and early 2000’s with the two Evil Empires, the Yankees and Red Sox, reigning supreme. I don’t know about everyone else, but it just isn’t fun anymore. So let’s enjoy these last few weeks of exciting (well, at least in the NHL’s case) playoff intensity. Both series should actually be great, even though everything in the NBA up to this point has been a real dud. It’s Pittsburgh again — surprise! The perennial silver-medalist of sports royalty (Pittsburgh will never be Boston, but it’s next in the pecking order) gets another crack at a Stanley Cup parade. Last year, they faced little resistance from the San Jose Sharks, so should we expect anything different from the upstart Nashville Predators? Nashville is scrappy. Nashville is hot. Nashville is starved for a pro sports title. But will that be enough? The answer is probably not. The Predators are fast, resilient, and feature a red-hot goaltender in Pekka Rinne. But the Ryan Johansen injury looms large against a mostly-healthy Penguins team that always saves its best for last. When their backs are to the wall, only then does this team rise to the top. That’s why they haven’t won a division title the last two years, yet are in position to be the first back-to-back Cup champions since the Red Wings in 1997-98. In the end, Sidney Crosby, Evgeni Malkin, Phil Kessel, and Matt Murray will be too much for the Cinderella Preds. At some point, it will become at least somewhat evident as to why the Predators are a No. 8 seed in the postseason field. Pick: Penguins in 6. Here we go… again. Part 3 of Cavaliers-Warriors should be entertaining, if only by default because of how lopsided these NBA playoffs have been to date. Golden State is a heavy favorite, but don’t sleep on the Cavs. They pulled off a miracle comeback from down 3-1 last year, including two road wins. Of course, that was BD — Before Durant. The Warriors learned that setting regular-season records means nothing, so they didn’t win 73 games this year but figure to be in a much better position to win the title than last year because of the addition of Durant. So, in the end, it means that the Cavs are fortunate to have won last year, because it probably isn’t going to happen this year. Pick: Warriors in 6. Be the first to comment on "NBA, NHL Picks and Hanging on to Playoff Dreams Before a Dreary Summer Begins"